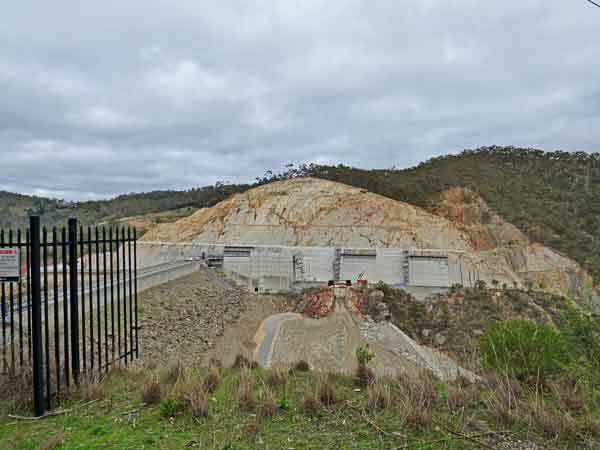 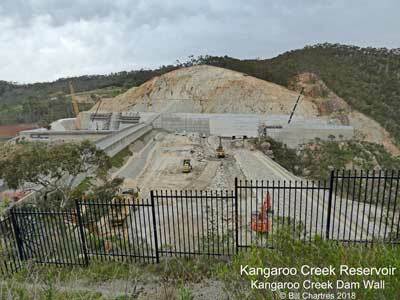 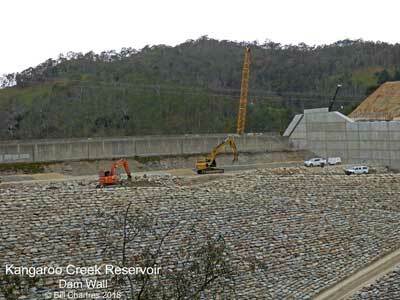 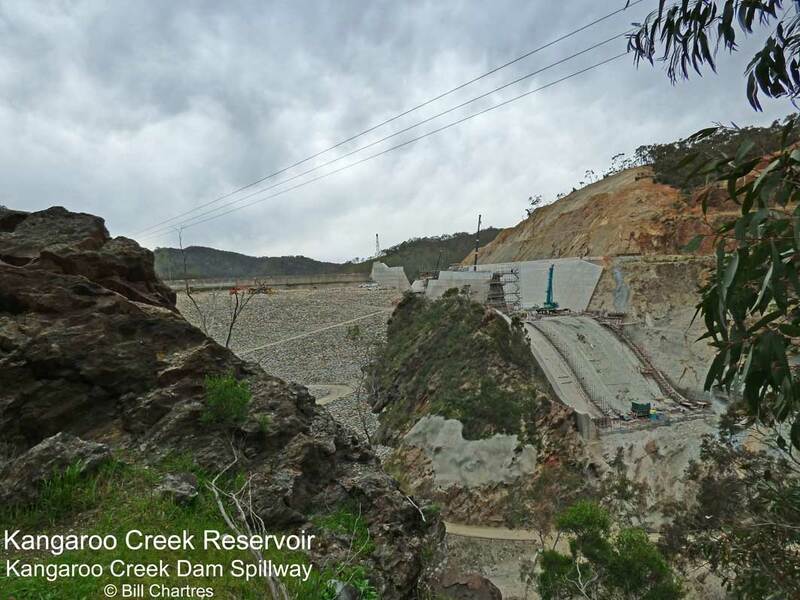 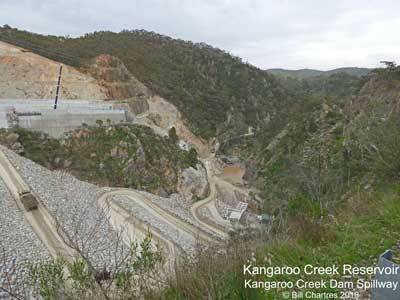 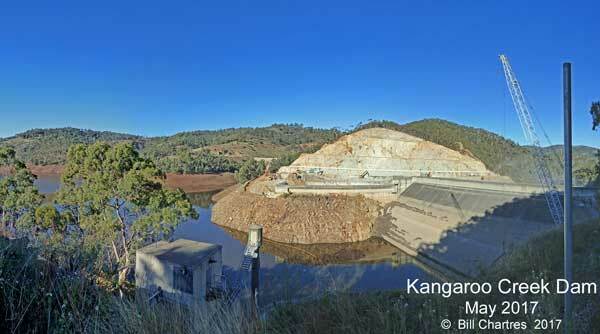 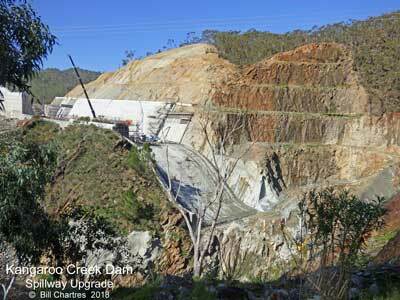 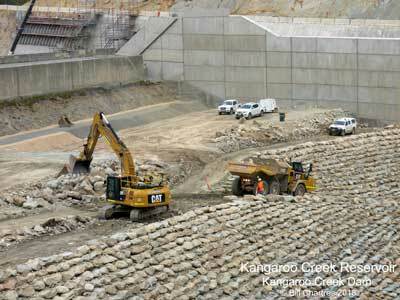 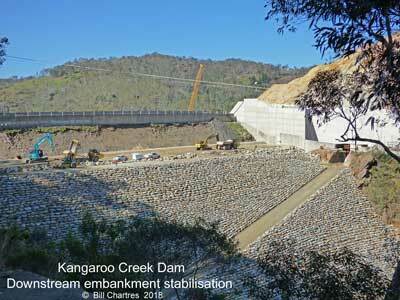 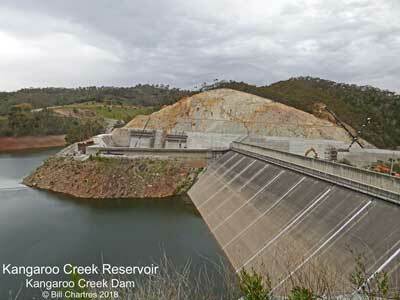 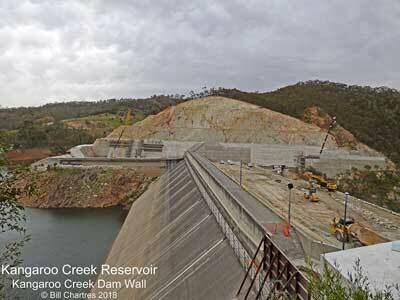 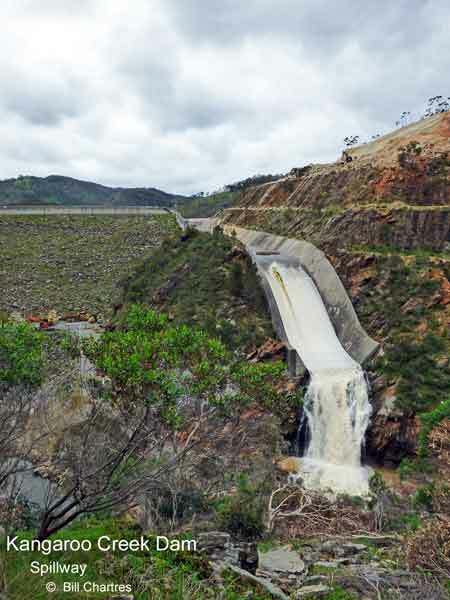 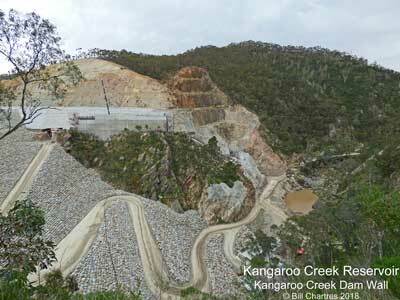 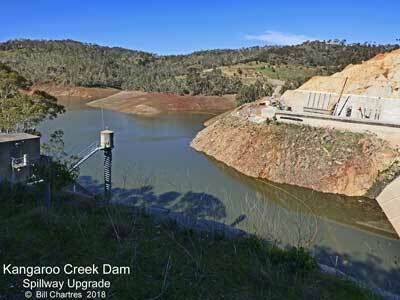 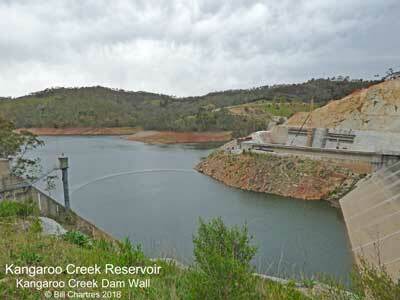 SA Water is currently (2015/2018) upgrading the Kangaroo Creek Dam. 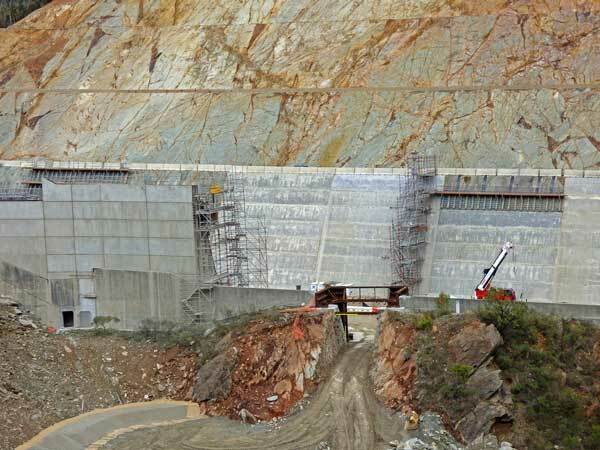 The work will widen the spillway, raise the wall and strengthen the wall and the upgrades will help manage major floods and increase the dam's ability to withstand earthquakes, however it will not increase the dam’s capacity, as the spillway height will be unchanged. 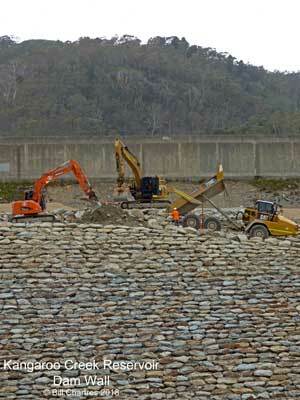 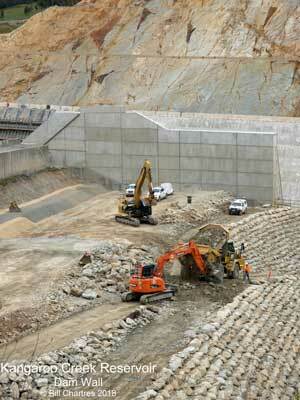 The Spillway is being widened by 40 metres. 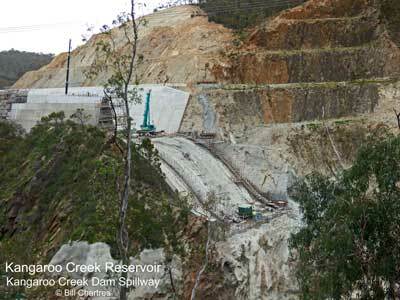 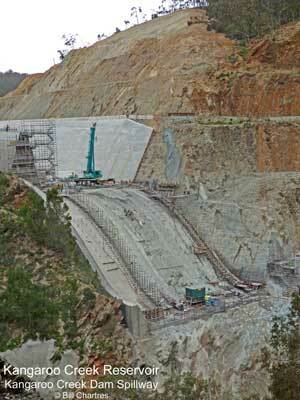 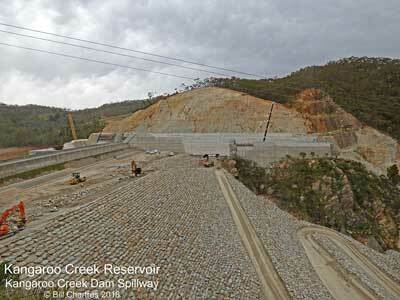 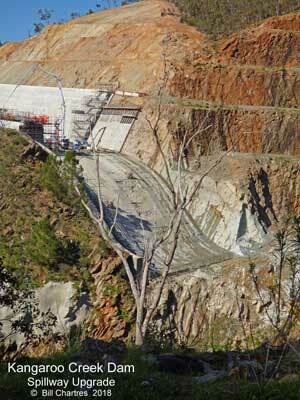 During the upgrade the Spillway will be widened by 40 metres. 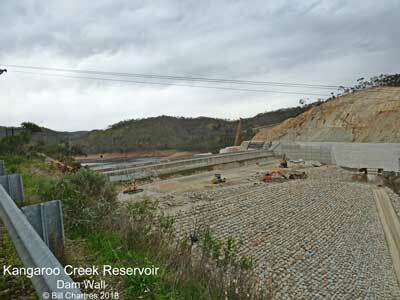 the existing embankment downstream of the dam wall. 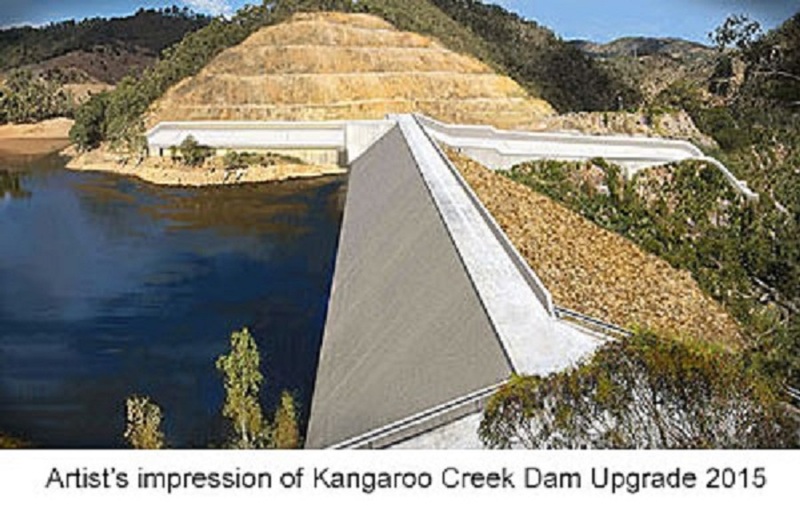 Kangaroo Creek Reservoir - August 2018. 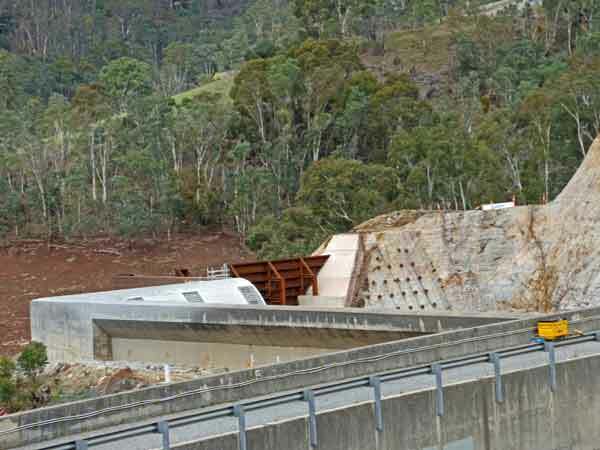 Batchelor's Bridge is completely submerged once again. 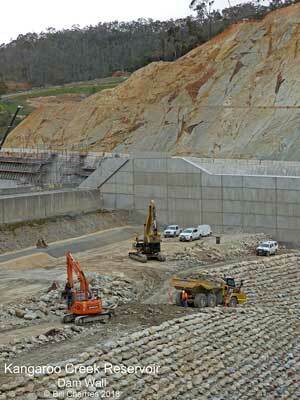 Widening of the Spillway continues.